From our range of touch sensitive lights. 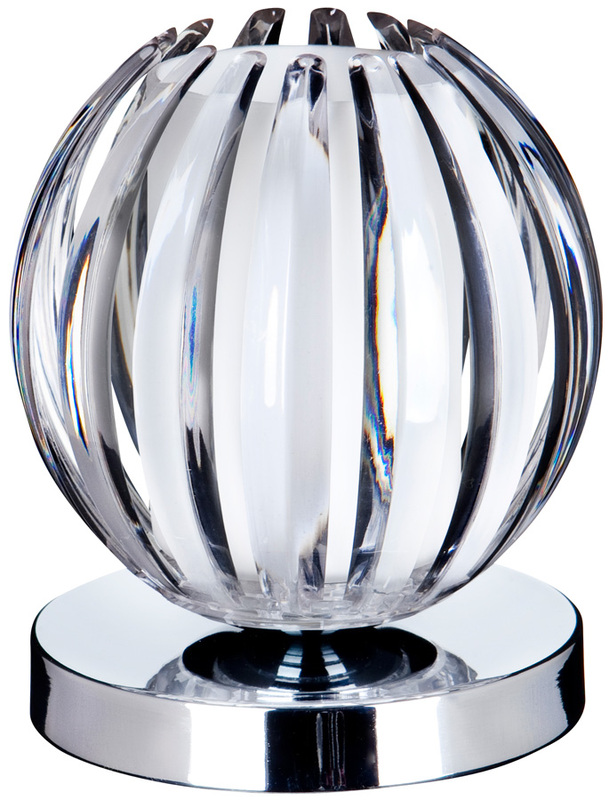 A 110mm diameter polished chrome circular base holding a central frosted glass diffuser tube enveloped by a ribbed clear acrylic ball detail. Standing 140mm tall in total, this modern table light is operated by simply touching the metal part of the light fitting. The lamp has a three stage touch operation stage alternating between low, medium and bright status depending on how many times the lamp is touched making it the ideal bedside companion.